Maracaibo Media Group > Media Outlets > CMS Wire > Will LinkedIn Ads Take 2019 By Storm? 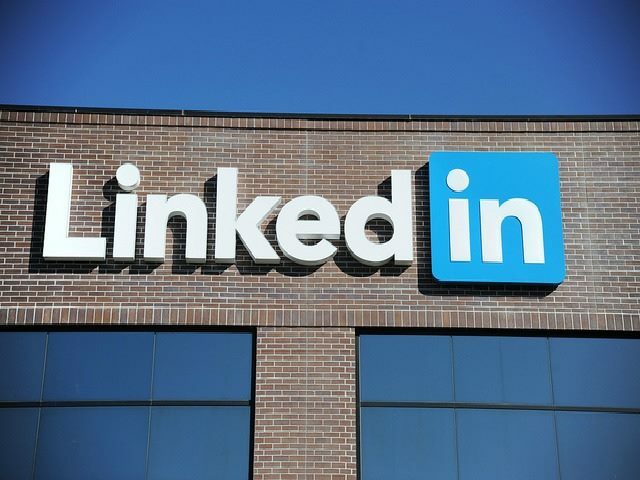 With brands sizing up the digital marketing and advertising challenges of 2019, CMSWire posed a pertinent question to digital marketing experts; is LinkedIn advertising about to take social media advertising by storm? How Do LinkedIn Ads Compare to Facebook Ads? A report by Demandware shows 71 percent of B2B marketers use LinkedIn as part of their advertising strategy, but the aforementioned growth statistics show that even more money is being laid down. Both LinkedIn Ads and Facebook Ads give marketers the ability to target campaigns by demographics such as gender, age and location. However, LinkedIn Ads, unlike Facebook Ads, can target an audience based on industry and profession. “While ads running on LinkedIn don’t differ much from ones you’d find on Facebook or Instagram, the real differentiator a Linkedin [ad] provides is a targeted audience broken down by some pretty unique and powerful data points like education, skillset, employer and industry. These are qualifiers the other social media sites just can’t pinpoint as accurately,” said Brian Byer, VP of content & commerce at Blue Fountain Media. Furthermore, LinkedIn has become an “indispensable professional tool” for networking and building brand awareness. According to Chris Olson, CEO of The Media Trust, professionals access the platform at least “once a day” for content to assist with making informed business decisions. “LinkedIn tends to be sober in tenor and tailored to the professional needs of users. At the same time, ads are fewer and farther between and less conspicuous so that they do not disrupt users who want to dig into insightful, engaging and reliable professional content,” Olson said. Are LinkedIn Ads For Everybody? However, since LinkedIn is a professional network, LinkedIn Ads is not catered towards the B2C space. This is where platforms like Facebook and Instagram will provide a higher ROI in B2C marketing. “LinkedIn is a workplace professional platform and one of the few social media platforms corporations allow to be accessed on work computers, several companies still block Facebook. Unless a B2C company is promoting a product to help workplace productivity [or] process efficiency, I don’t think their ads hit the right tone for the platform,” said Julie Huval, CPSM at Beck Technology. Santillan continued by saying that the authentic nature of LinkedIn Ads helps to nurture more engagement and views in comparison to Instagram and Facebook. Another advantage, according to Byer, is LinkedIn’s diverse range of advertising options. LinkedIn offers sponsored content, text ads and sponsored InMail. “Linkedin demonstrates a clear ad-buy advantage is in its diverse range of advertising types. [Linkedin Ad options] like sponsored posts are a great way to reach a qualified and literate audience who might better respond to your content when it’s presented to them in a more sophisticated manner,” Byer said. But the major drawback is cost. In DemandZen, Justin Warner wrote that it is currently “cheaper” to run campaigns on Facebook than LinkedIn. Also, Facebook has a much larger user base. Latest figures show that Facebook has 2.2 billion active users and LinkedIn has 550+ million active users. Despite the contrasting difference in the number of users, LinkedIn Ads possess a higher ROI, according to Warner. “The only disadvantage of LinkedIn Ads is its cost. They can be very pricey compared to Facebook; however, their ROI is usually much higher,” said Keri Lindenmuth, marketing manager at Kyle David Group. Another disadvantage, as observed by Huval is LinkedIn Ads’ analytics platform. “The analytics [of LinkedIn Ads] don’t show you exactly who viewed or clicked on your ad even though the LinkedIn platform knows exactly who did. The disconnect between following up with a potential lead and a view is frustrating. Facebook has long been seen as the leader in online advertising, whether you’re B2C or B2B. But if the statistics and expert opinions are anything to go by, 2019 will be the year that B2B marketers spend more money into LinkedIn than any other platform. As for B2C marketing, it’s fair to say that brands will prefer Facebook and Instagram for lead generation, revenue and brand awareness.